Waking up to blue sky, sunshine, and warm breezes. I've craved so long for. Getting up at 8am for Uni on weekdays in the past weeks, months, has been painful, not to mention a grudge. My ever so untouched goal of waking up at 7am for a morning run has been neglected all this time. Call it lack of motivation, cold weather and the gloomy winter mornings all prevented me from my weekly exercises. I think it has partly to do with my laziness. This is a convo between me and my friend that occured in a department store a few weeks ago. "I don't know what to wear this Summer!" "Same. What did you wear last Summer?" 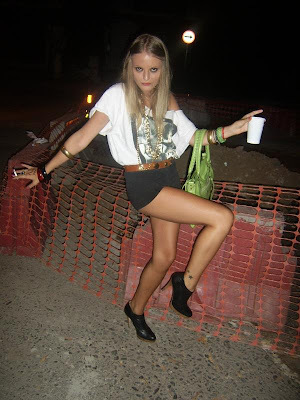 "Umm...lots AA, Sass and Bide denim shorts I won't wear again...etc etc, you?" "Yeh, Alice McCall high waisted grey shorts, silk cami tops etc etc not to mention..some hideous fluoro that I won't touch again for a LONG time, eww." "God I know aye, man I don't know what to wear this Summer!" So I've been pondering about what my Spring/Summer wardrobe would be like.. not to mention a list of to have items for the seasons.